We saved the best for last! This is the last two-bed condo at Moda Lofts. All the others sold-out, so don't miss your chance to own this Penthouse-level, corner unit home that even has mountain views! 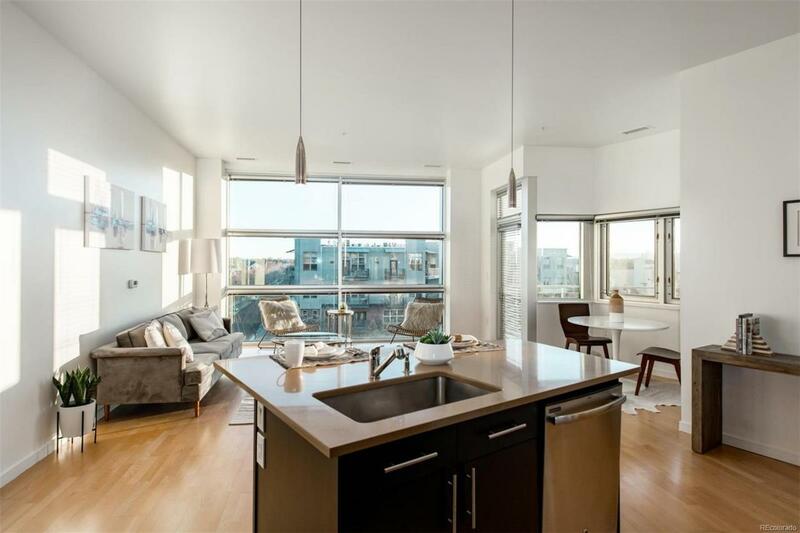 Moda Lofts is sophisticated condo living at an attainable price. Situated just steps from the Stapleton Town Center & developed by Infinity Homes, a name that is synonymous with high-end homes throughout Colorado, and built with concrete floor-slabs, acoustic underlays, and steel framing by Swinerton Construction the build quality is second to none. With a calculated palette of finishes that places an emphasis on craftsmanship and design, this home features brand new carpet, granite counters, stainless appliances, true hardwoods, flat-panel cabinetry, floor-to-ceiling windows, private balconies, and TWO secure underground parking spaces. Centrally located within Stapleton, MODA Lofts offer convenient access to the best retail, dining, parks & rec-centers around Denver!